Although it's still technically a month away, it sure does feel like spring outside. We hit 80 degrees here today, which is crazy since a week ago we were at -16 degrees. But I'm not complaining! In fact, I'm loving it. 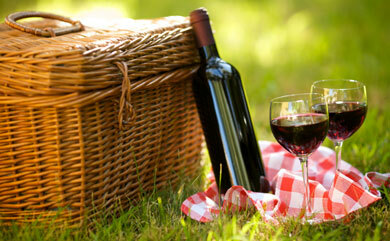 All of this sunshine has me ready for a picnic! Anyone else? I'm definitely loving this basket from Willow Tree Home. 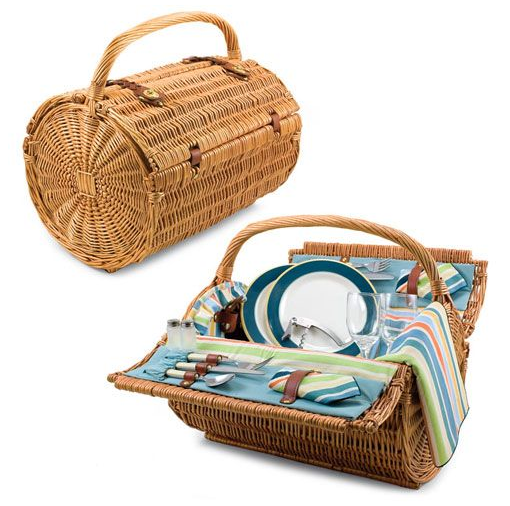 The basket includes 2 plates, 2 napkins, 2 handblown wine glasses, 1 tablecloth, 2 utensil sets, 1 salt and pepper shaker, and 1 stainless steel corkscrew. Wouldn't this be a great spring wedding gift?